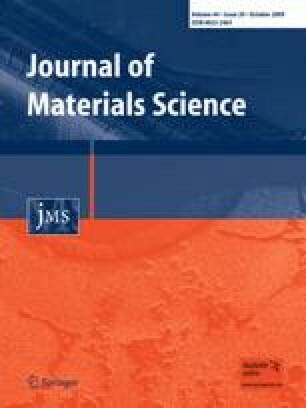 Bombyx mori silk fibroin (SF) fiber mats were prepared by electrospinning with the solvent of hexafluoroisopropanol (HFIP) and formic acid (FA). The average diameters of SF fiber mats observed by SEM were 2.0 and 0.3 μm when different solvent, HFIP and FA, were used. Fourier transform infrared and X-ray diffraction were employed to study the secondary structure of the SF fiber mats; the results showed that the electrospin solvent not only affect the secondary structure of as-spun SF fiber mats, but also indirectly affect the structure transition of SF fiber mats post-treatment with ethanol. And the SF fiber mats electrospun with FA showed more β-sheet structure before and after ethanol treatment. The differential thermal analysis curve indicated that the solvent of HFIP or FA had a weak effect on the thermal properties of SF fiber mats. To assay the cytocompatibility and cell behavior on the SF fiber mats, cell attachment, spreading, and proliferation of normal human epidermal fibroblasts (NHEF) seeded on the scaffolds was studied. The results indicated that the SF fiber mats support NHEF attachment and growth on SF fiber mats in vitro, and no difference between the SF fiber mats electrospun with HFIP and FA was observed. In this article, a desired morphology and secondary structure of SF fiber mats could be prepared by choosing different electrospinning solvent. The present works is supported financially by the Natural Science Foundation of Jiangsu Su (No. BK2007054) and sponsored by National Base Research Program of China (973 program) (2005CB623902).